Following a pilot program at the University of Texas, AT&T this week announced it will roll out a commercial Network on Demand service that uses software-defined networking (SDN) techniques to let companies immediately provision their own networking resources through a self-service portal. The telecommunications giant said its new initiative -- part of the company's User-Defined Network Cloud (UDNC) strategy -- is the first such SDN solution in the United States. The pilot program will be expanded to businesses in Austin this year and will be rolled out to other markets starting next year. "Network on Demand redefines how network services will be delivered to business customers by streamlining the process using an online self-service portal," the company said in a statement. "This translates into time savings, less complexity and dramatically improved cycle times for companies of all sizes." The UDNC strategy is part of the company's "Domain 2.0" supplier program that looks forward to the enterprise network of the future and sees networking infrastructure being purchased and provisioned similar to the manner that cloud computing services are today. 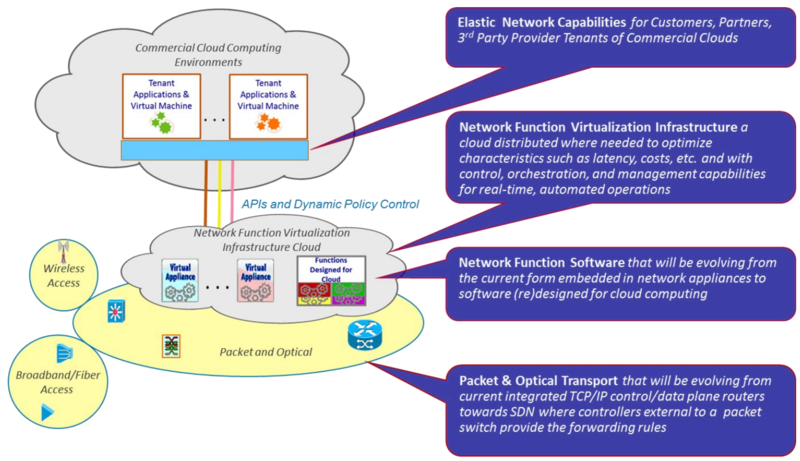 The emergent SDN technologies play a big part in that vision. "Migrating AT&T businesses to a multi-service, multi-tenant platform implies replacing or augmenting existing network elements -- which today are typically integrated to perform a single function," the company said in a Domain 2.0 white paper. "The replacement technology consists of a substrate of networking capability, often called network function virtualization infrastructure (NFVI) or simply infrastructure that is capable of being directed with software and SDN protocols to perform a broad variety of network functions and services." Intuitive and immediate click-through contracting and ordering of network services. Dialing up or down broadband speeds in near-real time instead of hours or days. Provisioning new communications ports in days compared to weeks. "What the cloud did for the management of datacenters, Network on Demand will do for corporate networks," said company exec Roman Pacewicz in a blog post. "This is a breakthrough on-demand service that will help companies easily add or change services on their own, in near-real time. "And it redefines how network services will be delivered to customers through an online self-service portal," Pacewicz continued. "Ultimately, this means a customer will be able to simply go online, click a few buttons and have new services almost instantaneously." Pacewicz said the company's forward-looking strategy is designed to deal with a new world of overwhelming data creation (15 million gigabytes per day), mobile data traffic (expected to increase elevenfold by 2018) and the huge market for video (expected to constitute 79 percent of all Internet traffic in 2018). "These trends are driving a change in IT, the likes of which we haven't seen before," Pacewicz said. "The traditional model to purchase and manage network services is just not sustainable anymore." 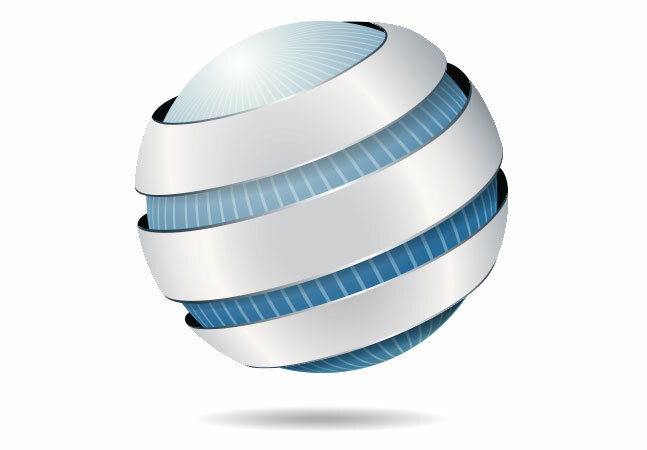 AT&T first introduced its UDNC concept in February, when it announced the first group of companies partnering with the company on the project: Ericsson, Tail-F Systems AB and Metaswitch Networks Ltd. Also, Affirmed Networks Inc. was selected to work with AT&T on a virtualized Evolved Packet Core (EPC). The company said it would simplify and scale its network with SDN techniques such as separating hardware functionality from software functionality; separating the network control plane from the forwarding plane; and enhancing management of functionality in the software layer. "We're rewriting the book and setting a new foundation on how businesses manage their network services," Pacewicz said. "As much as computing has advanced, networking services have remained largely unchanged. In a world where virtual servers can be spun up in minutes, provisioning of network services like Ethernet and VPN can still take weeks. Like yesterday's hardware-centric datacenters, these services are overly burdened with complexity and cost." Going forward, he said, "What's clear is that the overall customer experience will be faster, less complex and with clear cost benefits. And this is just the beginning."